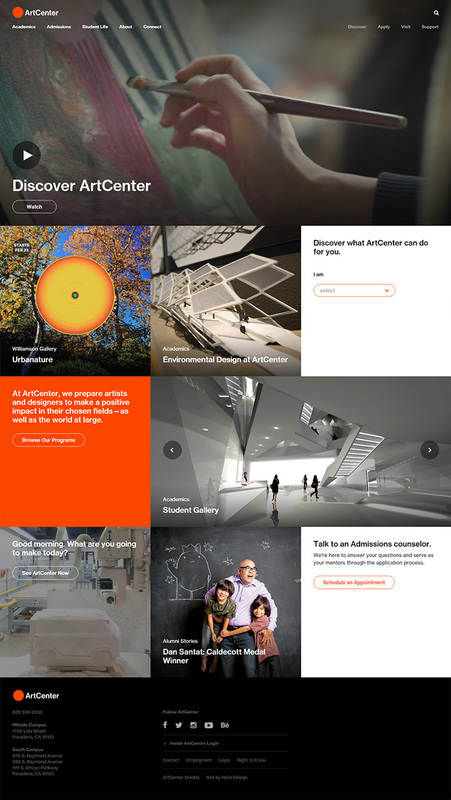 The prestigious ArtCenter college recently launched a much cleaner grid-oriented redesign of their website. This new design showcases the professional attitude of the school spanning a history of over 80 years. Right off the bat I’m a big fan of the new layout. It follows a grid structure with boxed elements of varying widths. This style both conforms to a pattern yet breaks the norm with oblong elements. A beautiful mixture of symmetry and asymmetry. Internal pages like admissions are quick to present content. It’s super easy to read and browse with the new dropdown menu. And overall the site operates in a much cleaner fashion. Here’s a comparison of the new design to the old one(dated from December 2015). I don’t have an exact reference for the launch date, but ArtCenter put out a tweet dated February 18th mentioning their new layout. So far the new site has made its way onto networks like Designer News and seems to be a success. 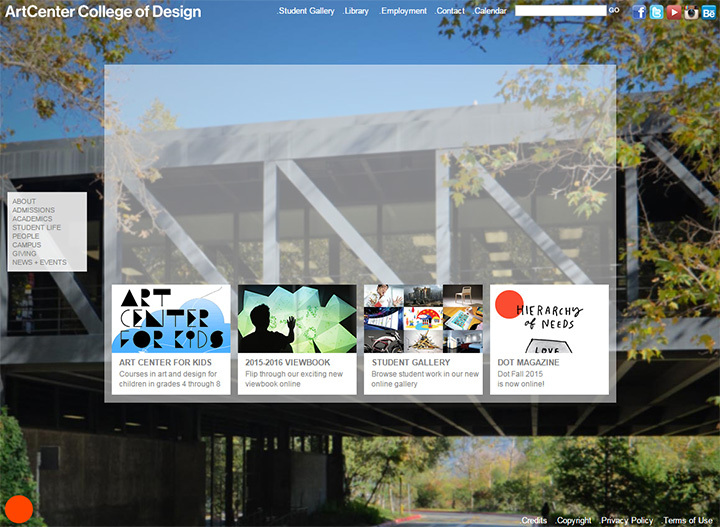 In the array of traditional college website layouts ArtCenter stands out. Not because the site is overly creative per se, but because it fits a mold that feels true to the ArtCenter brand. This redesign brings ArtCenter firmly into the 21st century of modern web design—and I’ll be one of the first to welcome them.